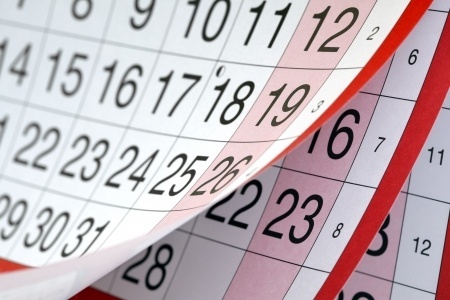 Please visit the City Calendar page to view a schedule of upcoming board meetings. The Board of Review meets annually in the month of March to hear appeals on property tax assessments. The board also meets in December to review Homestead Property affidavits. Meetings are held at City Hall and are open to the public. Meets on an as-needed basis at City Hall. The ZBA consists of five members appointed for three-year terms. One member of the ZBA is a member of the City Council as selected by the City Council. One member of the ZBA is a member of the Planning Commission as selected by the Planning Commission. The remaining three members are residents at large. The ZBA is responsible for hearing requests from those appealing a decision of the city’s Community Development Director or those requesting special exceptions from the city’s Zoning Ordinance. The ZBA receives city staff assistance from the city’s Community Development director. The ZBA also serves as the city's Sign Board of Appeals pursuant to Chapter 1234 of the City Code. In this capacity, the ZBA hears appeals/request for variances from the city's Sign Ordinance. The ZBA meets as the Sign Board of Appeals on an as-needed basis. Meetings of the DDA are held at 8:00 a.m. on the third Wednesday of each month at City Hall. Visit our Agendas and Minutes page. The DDA consists of the mayor and eight members appointed by the mayor. At least five of the eight members shall be persons having an interest in the DDA development district. Terms of office are four years. The library is governed by a six member Board of Trustees consisting of two members each from the City of Ionia, Easton Township, and the Ionia Public School District. The Ionia Community Library was formed in 2004 to provide library services to residents of the Ionia Public School District (minus Portland and Lyons Townships which are served by other district libraries). The Board of Trustees is responsible for overseeing the operations of the library. Board of Trustees meetings are held at the Ionia Community Library. The public is invited to attend. More information about the services provided by the Ionia Community Library is available on the library’s website. The Ionia Housing Commission holds their meetings at the Ionia Housing Commission Office, Pine Visa Apartments, 667 Union Street, Ionia, MI 48846. Telephone: 616-527-9060. The Ionia Housing Commission consists of five members who are appointed by the mayor. Terms are for five years. Include operating and managing housing developed specifically for those with lower incomes. By local ordinance, the Local Officers Compensation Commission may only meet in odd numbered years at which time they recommend salaries for the following two calendar years. Meetings are held at City Hall and are open to the public. The Local Officers Compensation Commission consists of five residents of the community who are appointed to recommend the salaries of the mayor, City Council members, and the city clerk. Members may not be an employee of the city nor a member of the immediate family of any elected official. Meetings are held at City Hall and are open to the public. Visit our Agendas and Minutes page. The City of Ionia Planning Commission consists of nine members; three ex officio members and six appointed members, all with a vote. The ex officio members are the mayor, one member of the City Council, and one member of the administrative staff as appointed by the mayor. The six other members are residents of the community who are interested in serving their community and come from varying professional backgrounds. The term of the appointed members is three years. To make and adopt a comprehensive development plan for the future, physical development of the City. To divide the City into zoning districts or “zones” and recommend appropriate regulations for these zones. To make recommendations to the City Council, to public officials, and to citizens regarding all matters relating to the planning and development of the City. The City of Ionia has various Boards and Commissions that welcome resident participation. All positions are voluntary and are appointed by the Mayor with the approval of City Council. Preparation for meetings may require additional time obligations. Once appointed, your attendance at meetings is critical. Please click on the document below for additional information.